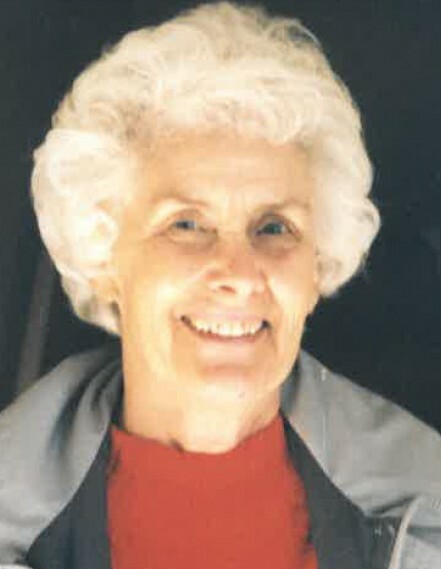 Midvale, UT – Elaine Thayn Snyder, age 91, passed away March 29, 2019. She was born October 29, 1927 in Wellington, Utah to Homer Angus and Sylmer Beal Thayn. She married Paul Snyder on May 3, 1946 in the Salt Lake Temple and enjoyed 72 wonderful years of marriage. Her greatest joy in life was her dear, sweet, kind husband, their 5 children, her many grandchildren, and her extended families. Elaine had a firm testimony of the Gospel of Jesus Christ and loved serving in numerous church callings. She and her husband served missions in the Eastern States, Rapid City South Dakota, and Salt Lake Inner-City missions. She found joy and a sense of accomplishment through many years of genealogical research and family history. She gained a great appreciation for her ancestors and looked forward to meeting them after this life. Elaine was preceded in death by her son Gaylen, sister Carol Renee Thayn, brother Ronald Thayn, brother-in-law Almon Butterfield, and her parents. She is survived by her children: Richard (Becky) Snyder, Lynn (Karla) Snyder, Maurine (Elias) Ashby, Dale Snyder and by her daughter-in-law Doris Snyder. She is also survived by her brothers and sisters: Cleora (Jay) Peterson, (Idyll - wife of Ronald) Thayn, Marnell Butterfield, Paul (Dottie) Thayn, and by 25 grandchildren, 69 great-grandchildren, and 11 great-great grandchildren. A viewing will be held on Friday, April 12th at the Midvale Stake Center (8171 S. Jackson St.) from 5 - 6:30 p.m. followed by the funeral from 7 - 8 p.m.
Interment will be at the Wellington City Cemetery on Saturday, April 13th at noon. The family would like to thank Elevation Hospice for their tender, kind care of Mom and our family.